HÀ NỘI — Hà Nội will expand the use of the iParking app at 146 parking lots across the city this month. The decision comes after the successful implementation of a pilot programme that uses software and automation technology to manage public parking zones on some streets, according to Hà Nội’s Transport Department. The city currently has 33 parking lots deploying iParking services, mostly on Lý Thường Kiệt and Trần Hưng Đạo streets in the business-heavy Hoàn Kiếm District. The transport department and people’s committees of districts and wards had earlier reviewed 151 parking spots eligible for using the iParking app. All information relating to car parking will be available online, and car owners will be able to find and book parking spaces in advance on their smartphones and tablets. The smart technology behind the system will also enable vehicle owners to park their cars without help from parking staff. The parking fee will be calculated based on parking duration and can be paid via the Viettel mobile phone account or bank account of the driver. 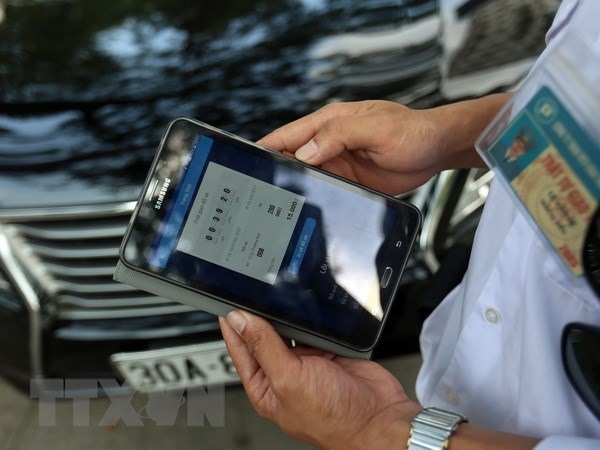 The driver can also ask the parking lot guard to help them pay the fee in cash after many complained that only those who used the mobile phone network of telecom service provider Viettel could successfully complete the parking order via iParking. Licensed parking units started working with the iParking service provider to use the app on July 1.